This is not the first time Samsung goes all the way to mock iPhones in their ads. 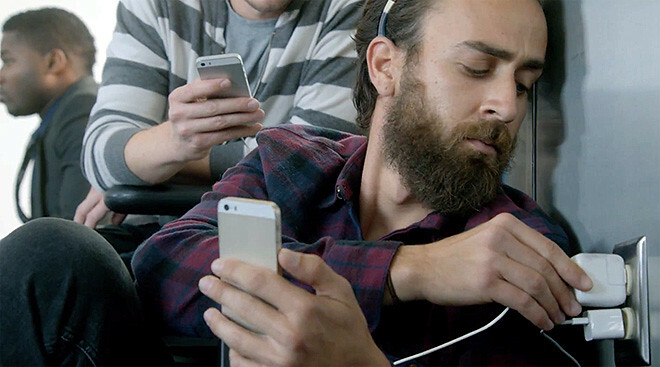 In this new one, they focused on depicting users sticking to power outlets in the airport trying to charge their iPhones. I cant say that they are wrong here cos iPhone battery does not last very long indeed. Check out the video below to see how Samsung portrays the amazing battery life of the Galaxy S5.